You never know when life can take a turn for the worse and an emergency occur. You might not be able to predict it, but you can at least prepare for it. This backpack kit from Wise Foods contains everything an individual needs to survive for up to five days. 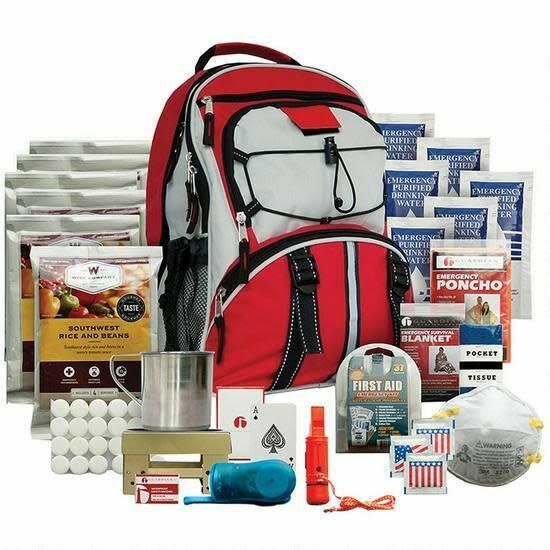 It covers all the basic needs, including food, water, fire, first aid and hygiene, shelter and even includes a deck of playing cards to relieve boredom! Keep one on hand for each member of your family.